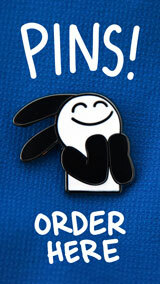 A sample of everything – I didn’t know buni has such a scientific mind. Apparently the mobsters dumped their victim in shallow water. Either that, or Buni is looking for shells in the Bay of Fundy. What is that thing in panel 3? It looks like a conch shell. 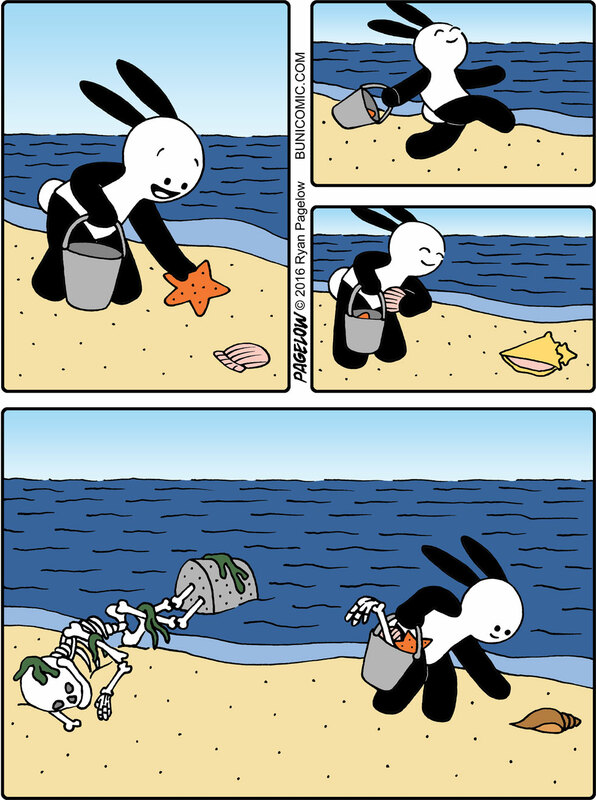 Looks like the guy from http://www.bunicomic.com/comic/buni-23/ finally washed up ashore.